Dan Rather and the late Peter Jennings were in Dallas on Nov. 22, 1963. Rather later was a key player in CBS News specials that investigated whether Lee Harvey Oswald could have acted alone. Note to readers: On the 20th anniversary of the Kennedy assassination in 1983, The Dallas Morning News published a 78-page commemorative magazine. My contribution was headlined “The Emergence of Television News: How assassination coverage moved TV into a new era.” I interviewed Dan Rather, Peter Jennings, Robert MacNeil, John Chancellor and Edwin Newman for the piece. Only Rather and MacNeil have survived until the 50th anniversary of that dark day. The entire magazine was heavily edited to ensure accuracy and a very matter-of-fact approach. So that’s how this reads. But these interviews still resonate -- for me at least. And 30 years later, they, too, have become part of the historical record. CBS’s Walter Cronkite was the first television newsman to break the news. At 12:40 p.m. (Dallas time), he interrupted the soap opera As the World Turns with a bulletin that President John F. Kennedy had been “seriously wounded” in Dallas. ABC followed at 12:42, while CBS resumed its soap for seven minutes. At 12:46, NBC caught up with Don Pardo, now the announcer for the network’s Saturday Night Live, telling viewers that Kennedy had been rushed to an emergency room. Within an hour, the White House had announced Kennedy’s death and the three commercial networks had begun their marathon stretches of commercial-free coverage. By the time regularly scheduled programming resumed on Tuesday, Nov. 26, NBC had broadcast 71 hours of assassination coverage, the last 41 hours and 18 minutes of which was continuous. ABC broadcast 60 hours, and CBS, 55. Although the networks had lost a combined total of about $40 million in commercial revenues in four days, they had gained immeasurable respect. Even before the assassination, television news showed signs of having come of age. In early fall 1963, for the first time, Americans chose television over newspapers and radio as their primary news source, according to a Roper Organization survey commissioned by the Television Information Office. Two months before Kennedy was assassinated, CBS became the first commercial network to expand its nightly news broadcast from 15 minutes to a half hour. The opening story on the new CBS Evening News was Cronkite’s exclusive interview with Kennedy. Huntley, Frank McGee and Bill Ryan took turns anchoring NBC’s breaking news coverage of the assassination. ABC’s anchors were Ron Cochran and Ed Silverman, whose names have been largely forgotten. 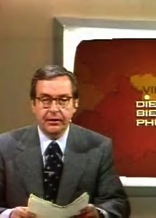 Many of today’s television viewers get their news from three men who reported from Dallas on Nov. 22, 1963: Dan Rather, who replaced Cronkite as anchor of the CBS Evening News on March 9, 1981; Peter Jennings, who succeeded the late Frank Reynolds this summer as anchor of ABC’s World News Tonight; and Robert (Robin) MacNeil, co-anchor of public television’s MacNeil/Lehrer News Hour. John Chancellor, resident commentator on the NBC Nightly News, and Edwin Newman, longtime NBC anchor-reporter, also played important roles in their networks’ assassination coverage. 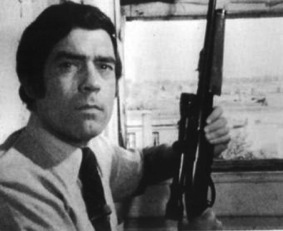 Dan Rather was the 32-year-old chief of CBS’s New Orleans bureau at the time of the assassination. Rather, a native of Wharton, Texas, who had grown up in Houston, was coordinating the coverage of Kennedy’s Texas trip. When the shots were fired at the motorcade, Rather was stationed along the route. After the presidential limousine sped past him, he raced back to CBS affiliate KRLD-TV (now KDFW) and took charge of the network’s coverage from Dallas. A month later, CBS sent Rather to Washington to cover the administration of President Lyndon B. Johnson. “It was a concentrated maturing process for me,” says Rather. He describes the immediate aftermath of the assassination as an “extended blur” during which he kept his emotions in check and strove to match the resiliency of a boxer. “A professional fighter,” he says, “can go in there and take punch after punch and not show pain, and do the job at hand. Every reporter prays to God, I think, to get a world-class story just once . . . and you pray that you’re at your very best on it. That’s the sense in which I was lucky. It’s difficult to talk to anybody about this who’s not a reporter -- because it sounds terrible -- but I never expect to have a bigger story than the Kennedy assassination. How can you? “I do think that television news was different after that,” he adds. “After that day -- and forever more -- broadcast journalism operated with a somewhat higher sense of purpose and with more confidence. Not only did our friends in print doubt that television could do it, but I think we doubted it ourselves. Until the Kennedy assassination, radio seemed to be the medium that “strengthened the bonds of community” during a crisis, Rather says. TV news stalwarts John Chancellor, Edwin Newman, Robert MacNeil. 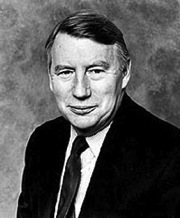 Robert MacNeil, a 32-year-old correspondent with NBC News at the time, made the official announcement of Kennedy’s death during the network’s first hour of coverage. “I think the thing that impressed me,” he says today, “was how careful everybody was to be absolutely sure of what they were talking about and not to just sort of throw it all out there. “When Reagan was shot, there were reports out of the hospital that were just grossly inaccurate. In some cases, they were prepared to go with just about any rumor. MacNeil heard the shots that killed Kennedy. He was riding in the first of two press buses following the dignitaries’ limousines. His first dispatches for NBC were filed from the Texas School Book Depository, which had the nearest telephone. “The dominant emotion was, ‘My God, what a story!’ “ MacNeil says. “It wasn’t until about three days later that my own sort of personal feeling about what had happened really caught up with me. Then, when I got back to Washington, I was very depressed. It really cast me down. The assassination ended all our innocence about a lot of things, and it created the first suspicions about whether the government was telling us the truth. It was much easier to believe everything before Kennedy was assassinated. 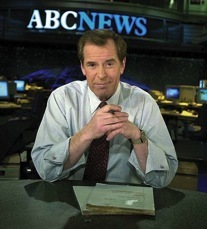 Peter Jennings, like MacNeil, a native of Canada, was a 25-year-old reporter with the Canadian Television Network when he heard the startling news over the public address system at the Toronto airport. Without checking with his boss, he caught the first available flight to Dallas and began telephoning dispatches to the network. Jennings’ audio reports were accompanied by wire service photos taken in Dallas. He stayed in the city for a day before catching another flight to Washington to cover Kennedy’s funeral. In the 20 years since Kennedy’s death, Jennings has been around the world covering wars and other assassinations. His experiences have diminished the impact of his first day in Dallas. NBC’s Edwin Newman, then 44, was having lunch in New York the day Kennedy was slain. He heard the news from a CBS correspondent, who joined him in the race back to their respective offices. After anchoring NBC’s radio coverage for several hours, Newman was told he would be going to Dallas. He wanted to change clothes first because he was wearing a light-gray plaid suit “that just wasn’t appropriate.” His supervisor said there was no time. During the chartered bus ride to the airport, Newman learned that Kennedy’s body was being flown to Washington. That suddenly became the reporter’s destination. At the time Newman was at Dulles International Airport in Washington interviewing foreign dignitaries arriving for Kennedy’s funeral. “Suddenly, you have this thing erupt,” he says, “when you’re putting microphones in the faces of presidents and prime ministers. That was extraordinary. There was a feeling that you were out of touch with reality. John Chancellor was a 36-year-old NBC correspondent in Bonn, West Germany, on the day Kennedy died. He remembers hearing “an enormous clap of thunder” shortly after the Associated Press reported the death. After reporting West Germany’s reactions to the assassination, Chancellor decided he wanted to return home. In November a year later, Chancellor returned to Bonn to prepare a retrospective that will be broadcast Nov. 22nd during the Today program’s two-hour remembrance of Kennedy.